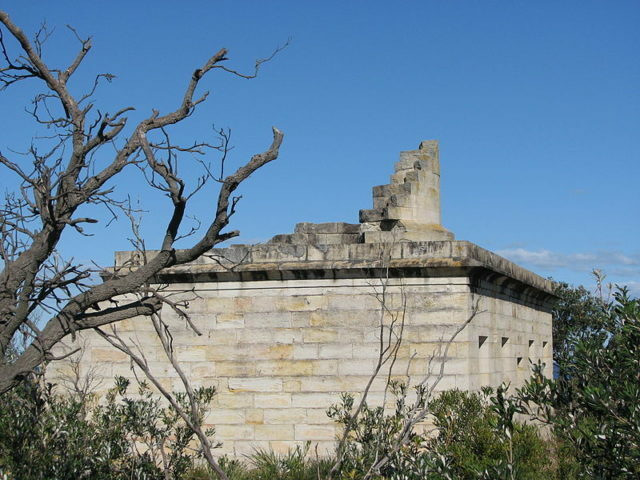 Cape St. George lighthouse once stood 1.9 miles south of Jervis Bay, and fairly close to Jervis Bay Village, New South Wales, Australia. Initially constructed in 1860, this lighthouse was in operation for just three decades before it was decommissioned. It was later destroyed by the navy, who used it for target practice from 1917 to 1922. A proposal for a lighthouse on this spot was made in 1856 and accepted not long after, however construction began without permission of the main controlling authority of the day: the Pilots Board. The reason was that this location was close to the quarry. Controversy arose right from the early stages of construction–reports suggested that the angle of the light and the actual building site were not in accordance with the plans. Technical drawing of the lighthouse. But despite everything, the lighthouse was erected and finalized on October 1, 1860. 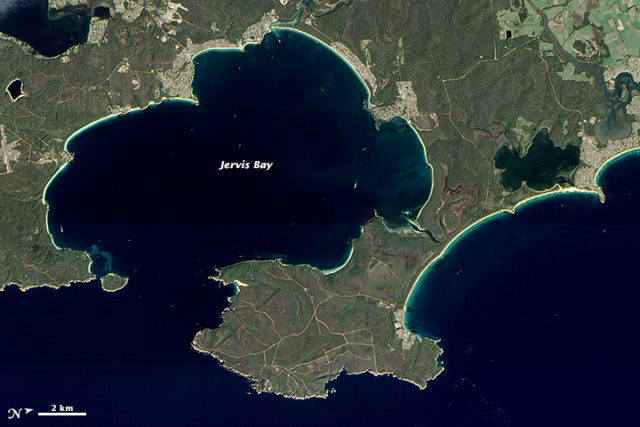 When the light was installed it became apparent that the ships approaching Jervis Bay from the north side, where there are a number of offshore reefs, could not see the light beacon, and those from the southern approach had a limited view of the light. The Pilots Board eventually made an investigation and what they found was shocking: the map that was used to select the site had been drawn incorrectly. It was even suspected that the lighthouse was deliberately constructed closer to the quarry than it should have been. This may have made life easier for the contractors but it was an error that cost lives. 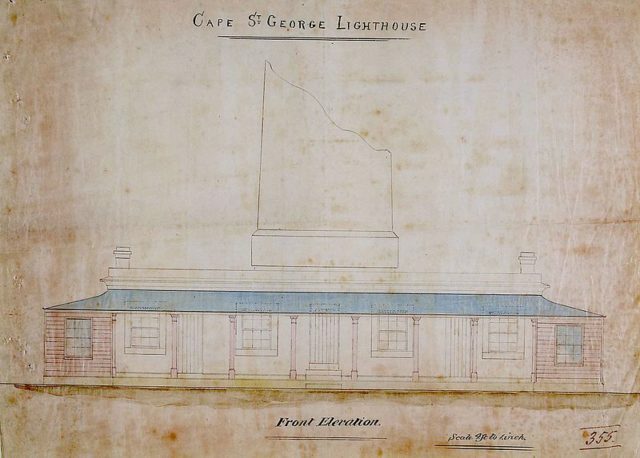 “…the original map and marking of the proposed lighthouse location were so inaccurate that later there were doubts as to whether the light had been erected on the selected site,” writes Lighthouses of Australia Inc. Upon inspection, it was discovered that Cape St. George lighthouse was built 2.5 miles north of where the it was supposed to have been. The New South Wales Government was notified and a committee was chosen to look deeper into this matter. Historic photo of the lighthouse. The committee found that the location was chosen without inspecting the site and solely relying on maps of dubious character. 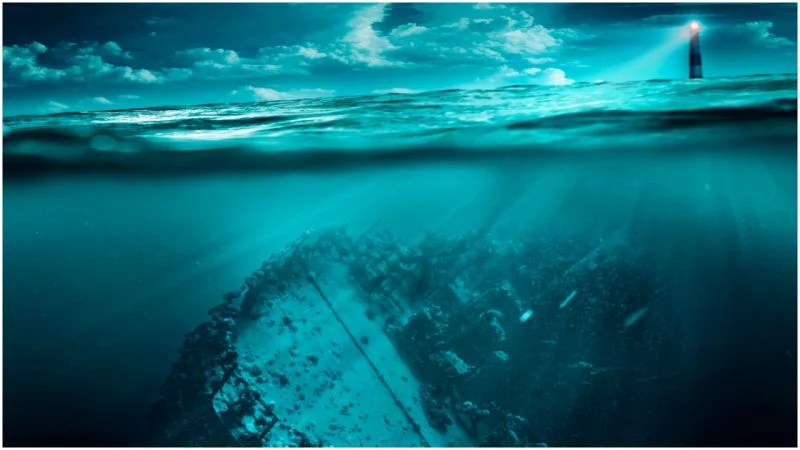 But nonetheless the lighthouse remained and as a direct result, from 1864 to 1893, twenty-three ships were wrecked on the coast near Jervis Bay. 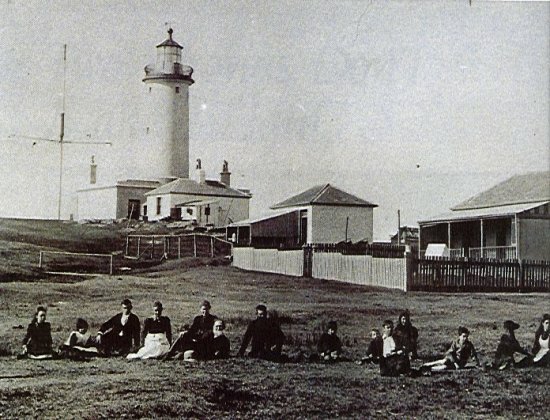 The lighthouse was finally replaced in 1899 by Point Perpendicular Light, which was erected on the southern tip of the Beecroft Peninsula headland. This location proved to be perfect and the new lighthouse was used for years. The light from the Cape St. George lighthouse was removed and installed in Crookhaven Heads Light, a lighthouse that was erected in 1904 north of the town of Culburra; the Crookhaven Heads Light today stands abandoned and is a favorite target for vandals. Once the new Point Perpendicular Light was put to use, it became clear that having two lighthouses standing in the same vicinity is confusing, especially during daylight. 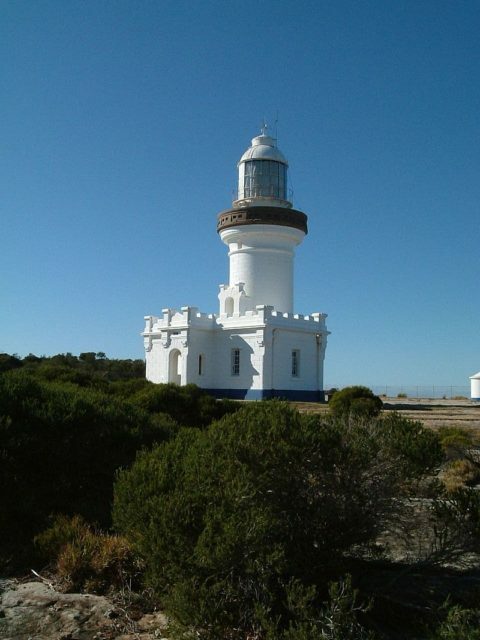 Having no real use for the Cape St George Lighthouse, it was handed over to the Royal Australian Navy. They decided to use this decommissioned lighthouse as a target during military drills. On October 21, 1980, what was left of the lighthouse was listed on the Register of the National Estate as no longer functioning. 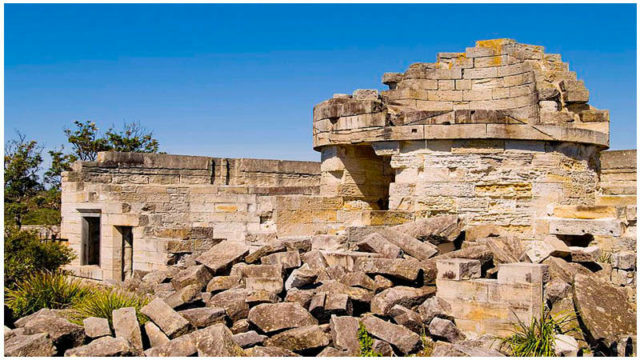 It was June 22, 2004, when the ruins of the lighthouse were added to the Commonwealth Heritage List. 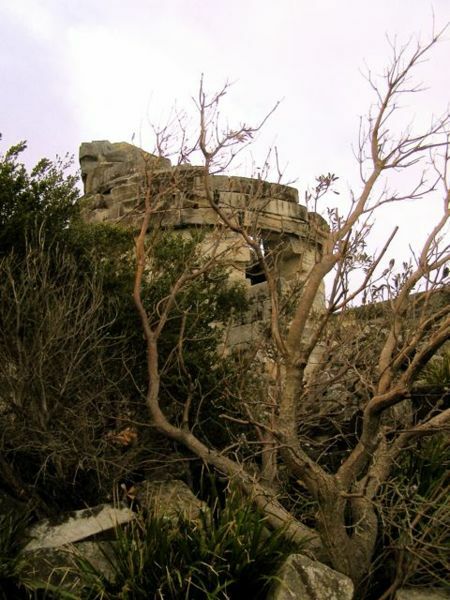 “The fact that the lighthouse was incorrectly sited, the subsequent abandonment of the place, and its reduction to a ruin add to its historical and landmark significance,” writes Australian Government Department of the Environment and Energy. Throughout its existence the lighthouse was the site of two tragedies; the first accident involved two girls by the name of Kate Gibson, the daughter of the chief lighthouse keeper, and Harriet Parker. According to the investigators, Kate accidentally shot and killed Harriet in 1887. The second accident happened when the lighthouse keeper by the name of Edward Bailey drowned after being swept off the rocks in rough weather in 1895. He left behind his wife and eleven children.